Oh, Downton Abbey. How I love the Crawley family and the servants and every last character who is just trying to do his or her best with the cards that they are dealt. There are so many pearls of wisdom that can be gleaned from the show and one that has stuck with me is about getting things right on the first try. Among the gorgeous costumes, splendid acting, and most importantly the intelligent dialogue, I am always getting life revelations out of watching. Julian Fellows is a master at creating the perfect one liners for every character and I could read through his masterful work all day. 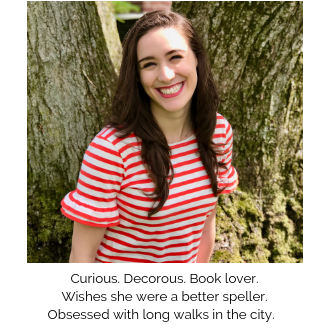 Luckily, the best of the best quotes have been complied in a book, The Wit and Wisdom of Downton Abbey, which I am sure I will turn to again and again. 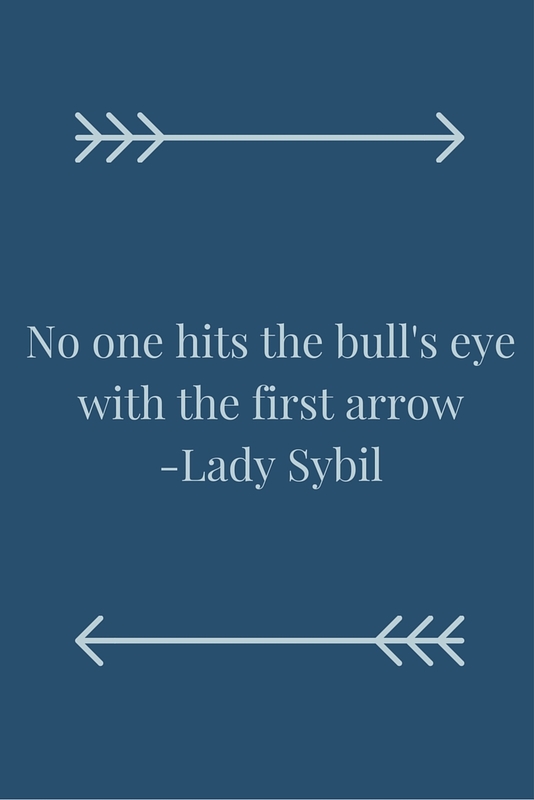 There are SO MANY great lines about every topic, but one of my favorites is from Lady Sybil. Everyone wants to be the best and the brightest at what they do, but what we sometimes fail to realize is that this takes continual effort and time. Failure, or even not getting exactly what you expected, is crazy hard to deal with. It can shake your confidence, especially when you worked hard, and can make you feel hopeless. However, every great person has not gotten to where they are without taking risks. They understand that not giving up when they don't hit that bull's eye the first time is the key to success. Lady Sybil tells us that although we may have high aims for ourselves and be disappointed if we don't reach them, we can take heart because it is a process. Nothing in life is ever fully complete. What matters is that we keep shooting arrows and improving until we finally hit the mark. What are your favorite quotes from your favorite television show?